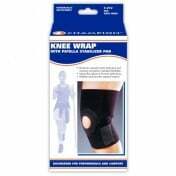 Knee Support With Flexible Side Stabilizers, manufactured by Champion CSX, is anatomically engineered for individuals that have an injured or weak knee. 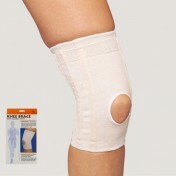 Offering a precision fit, this support deliver comfortable support and feel natural. 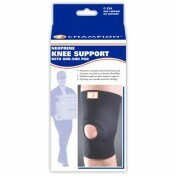 To further deliver comfort, this knee support offers a gel buttress surrounding the patella (kneecap). In addition to offering a buttress to deliver support, this Champion CSX brace features flexible spiral side stabilizers that enhance medial and lateral stability, while simultaneously allowing natural flexion and extension of the joint. It also features encircling straps, too, that stabilize the support in the correct position. 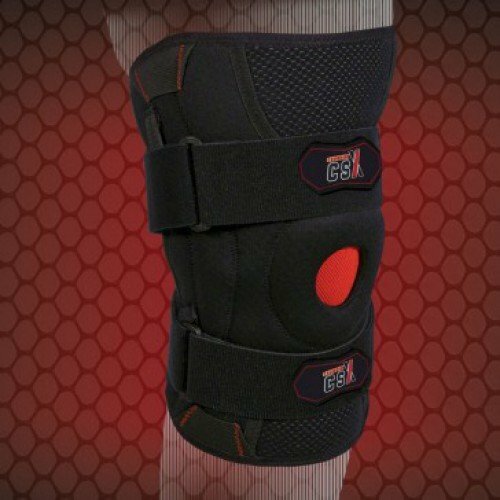 Movement of the joint, with this support, is further reinforced by the material, neoprene and mesh. The material, additionally, absorbs moisture and wicks away perspiration, which is great for dynamic activities. 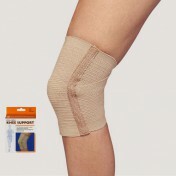 Featuring an easy-on, easy-off finger pulls make it effortless to apply and remove the support. 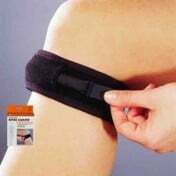 If this knee support does not meet your inidividual and specific rehabilitative needs, make sure to check out these other great supports, such as the hinged knee brace and hinged knee support, here. Advanced technology materials provide ideal wicking and moisture management to maximize performance. Anatomically engineered for a precise fit. 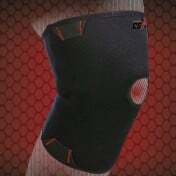 Gel patella insert with cool wicking mesh. 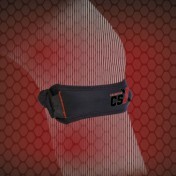 Reversible and adjustable straps customize position and compression. Product Numbers: X525-S, X525-M, X525-L, X525-XL, and X525-2L. Sizes: S, M, L, XL, and 2XL. 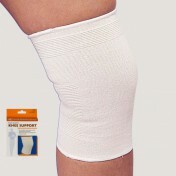 Application: To support and stabilize the patella. To properly determine which size if right for you, please measure the circumference at the widest point of your knee.